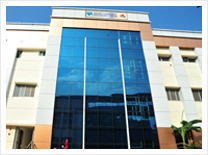 The front view of our Jaslok Community Block. 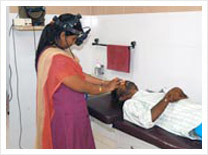 All clinical tests required before the surgery are done at this laboratory. 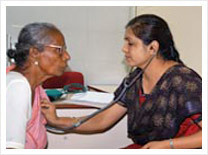 Two Consultation Rooms are available for examination by our Physicians. 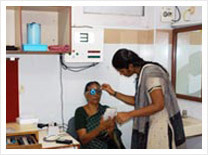 5 fully equipped rooms for Refraction/Consulting are available for speedy assessment of refractive errors in patients. 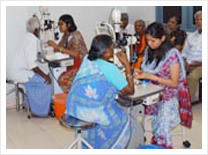 Slit Lamp Examination Hall equipped with 3 Slit Lamps. 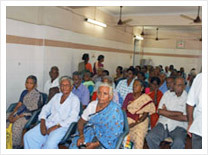 Fundus Examination Room provided with two couches. At a time two patients can be examined. 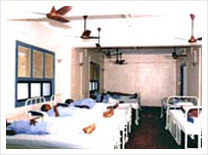 Patient wards -75 beds are available in total. 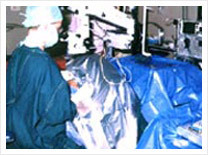 Operation Theaters - Fully equipped OT consisting latest equipment and five operating tables. 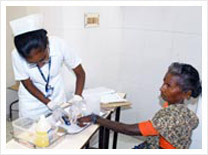 The post operative infection rate is less than 0.01%, which is the lowest in the world. 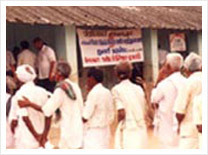 Patient Dining Hall. 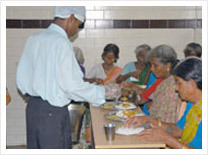 Food is provided to the patients free of cost. 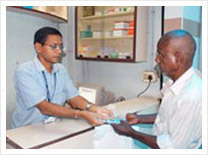 Drug Counter- All post operative medicines, dark glasses and, spectacles are issued here free of cost. 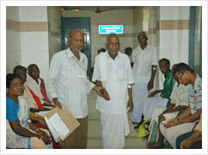 Our very special "SWAN" volunteers help patients.